The Bridgewater Senior Painters, led by Bill Pincolini, will exhibit their art at the Bridgewater Public Library's Flora T. Little Gallery from November 3rd through December 30th. Watercolors, oils, acrylics and pastels will be featured in the show. This year's theme is Native Americans. Featured painters are Julie Bernache, Grace Bjorkland, Joyce Feeney, Evelyn Fleming, Claire A. Freeman, Bill Pincolini, Robert Thuotte, Anita Smith, Ruth Bates, Senja Kravitz, Robert Lundberg, Susan Puffer, Ruth Robinson, Edwin Shonio and Sis Denson. The gallery is open to the public and is accessible by elevator during normal library hours. You can drop coats off for this program at the Bridgewater Senior Center. The election season is winding down and Around the Common is looking to see who you will be voting for in the Governor/Lt. Governor election. Cast your votes now before you do at the ballot box on November 2nd! For information on each of the candidates, here are their websites. On October 25th, Bridgewater Youth Soccer is taking over Barrett's Haunted Mansion for one night. Got a birthday in October or in the military with valid ID, then your admission is free. All others can get $4 off using a BHM coupon or $7 off by participating in Skip Cares. For coupons, directions or other information visit www.bhmansion.com. The Bridgewater-Raynham Special Education Parents Advisory Council (BR-SEPAC) has launched a website. The 2011 Relay for Life of Bridgewater, Lakeville and Middleboro cordially invites Team Captains, Team Members and New Committee Members to a Relay for Life Team Building Night at St. Basil's Chapel on Tuesday, October 26th. St. Basil's Chapel is located on Park Street at Bridgewater State University and the meeting will take place from 6:30 PM to 8:00 PM. 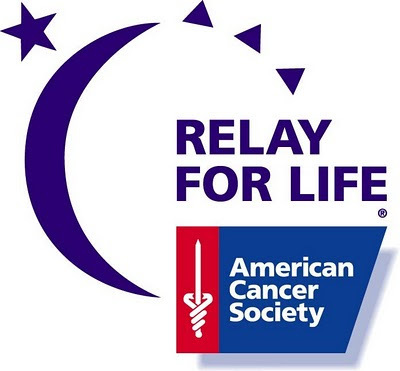 Join the Relay for Life organizers for a night of food, fun and idea sharing for the best ever 2011 Relay! Please contact Stephanie Guarino at stephanieguarino@yahoo.com or Anne Fagan at afagan1066@comcast.net for more information. The Central Square Congregational Church located at 71 Central Square will hold its annual fall rummage sale from 9AM to 1PM tomorrow (10/16/10). Featured will be clothing, shoes, household items, books, jewelry, linens and toys. A bag sale will start at noon. There will also be a fashion show, bake sale and a luncheon of homemade soups and sandwiches. Proceeds benefit various local mission projects. Tomorrow (October 13th) is the registration deadline to be eligible to vote on November 2nd for the local and statewide elections. Make sure you head to town hall to the Town Clerk's office to register to vote or update your registration if needed. If you need to reach the Town Clerk's office, they can be reached at 508-697-0921. The Bridgewater Public Library is participating in a "Buy One, Get One Free" theatre promotion in partnership with the Wheelock Family Theatre and the Boston Parents Paper. The Wheelock Family Theatre is located in Boston's Fenway neighborhood on the campus of Wheelock College at 200 The Riverway. Upcoming productions include Annie (October 22-November 21), The Secret Garden (January 28-February 27) and Aladdin (April 15-May 15). All performances are recommended for adults and children. To reserve a library pass, you may call the Bridgewater Public Library at 508-697-3331 or stop by the library located at 15 South Street. You will need to make your own reservation at the box office and bring with you the pass that you will pick up at the library. The Buy One, Get One pass is good for evening shows only and only one pass is allowed per group. The Department of Veterans Affairs (VA) is making available a new medallion to be affixed to an existing privately purchased headstone or marker to signify the deceased's status as a veteran. The medallion will be furnished in lieu of a traditional government headstone or marker for veterans that died on or after November 1, 1990 and whose grave is marked with a privately purchased headstone or marker. This benefit is only applicable if the grave is marked with a privately purchased headstone or marker. In these instances, eligible veterans are entitled to either a traditional government furnished headstone or marker or the new medallion, but not both. Please contact Roderick Walsh, Director of Veterans' Services at 508-697-0908 and Walsh will complete the applicable forms for submission to the VA. The Hockomock Digital Photographers will be exhibiting their photography in the Bridgewater Public Library's Flora T. Little Gallery from October 4th through October 28th. The HDP is a forum exclusively for and about digital photography. The group of 40 members meet monthly at the East Bridgewater Public Library. Many members have been awarded national recognition from leading photographic societies. The Bridgewater Public Library is open Monday from 4 to 8PM, Tuesday from 1 to 8PM, Wednesday from 10AM to 5PM, Thursday from 9AM to 5PM and Saturday from 10AM to 2PM. The poll question for the Michael Demos versus David Hathaway race should note that it is for District 3, not District 4. We would edit the title however those votes already tabulated would be lost. ATC apologizes for any confusion. The Trustees of the Bridgewater Public Library are pleased to announce the appointment of Sean Daley as Library Director. Mr. Daley has been Acting Director since May, replacing Elizabeth Gregg who retired last November. 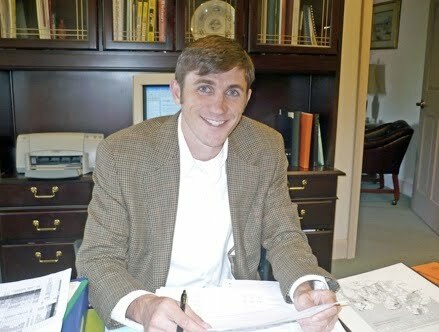 Mr. Daley has a Master's Degree in American History from Providence College and his Masters in Library Science from Simmons College. Before coming to the Bridgewater Public Library, Mr. Daley has worked in a number of libraries including the University of Massachusetts-Boston Healey Library, the Dana-Farber Patient Resource Center and the Image Center at Newton-Wellesley Hospital. Since arriving in May, Mr. Daley has overseen the library's steady increase in hours. Today, the library is open five days a week for a total of 30 hours. Mr. Daley and the rest of the staff are excited to be moving the library forward, adding children's programs, addressing building repair issues and working toward recertification. Mr. Daley is working with the Board of Trustees, staff and town officials to improve services, eliminate inefficiencies and to create a more user-friendly environment at the library. Mr. Daley remarked, "I am happy to be here helping move the library forward during such a critical time in Bridgewater's history." The Commonwealth of Massachusetts is making available the Medal of Liberty to the next of kin of any veteran who was killed in action or who died as a result of wounds received in any action against any enemy of the United States. Surviving family members requesting retroactive awards of the Medal of Liberty may do so by contacting Roderick Walsh in the Bridgewater Department of Veterans Services. Following a review and validation of service records, those Army, Navy, Marine Corps, Air Force and Coast Guard members so qualified are awarded the Medal of Liberty by the Office of the Adjutant General Massachusetts National Guard. For more information about the Medal of Liberty or to apply, please contact Roderick Walsh, Director of Veterans Services, at 508-697-0908. Have you seen one of the BWTR stickers around town and thought to yourself, "How do I get one of those?" Well, the answer is you come to Around the Common. 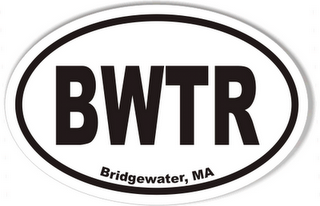 We are selling more of the famous BWTR stickers for only $5 each with all proceeds going to the Bridgewater Improvement Association. If you are interested in a BWTR sticker, please email aroundthecommon@gmail.com for instructions on payment and to send your mailing address. The First Parish Unitarian-Universalist Church will present a worship service on racial justice in the Bridgewater Public Schools. Featured will be student Raina Terry, 14, an African-American in the Bridgewater Public Schools who has been subject to racial taunting. Other speakers will address the ways in which Unitarian-Universalist spirituality goes hand-in-hand with racial justice work. Fundraising to send Bridgewater teachers to the Open Circle program at Wellesley College is one of the foci of this event. The Open Circle program addresses the need for social and emotional learning in the school system. This event is free and is open to the public. The Bridge Center, formerly Handi Kids in Bridgewater, will be hosting a variety of events this October including the 23rd annual Gregory, Kiesling, Sweetsir Original Daytime Halloween Motorcycle Race and Belly Dance Gala. On October 10th the 23rd annual Gregory, Kiesling, Sweetsir Original Daytime Halloween Motorcycle Race will start at noon at Fusion Route 1 in Foxboro. Registration is $20 and begins at 10AM. In case of rain, the alternate day will be Monday, October 11. Coffee and donuts will be served and following the ride there will be a BBQ with a cash bar. Prizes will be awarded for best costume. On Saturday, October 16th the Helping Hips 3rd Annual Belly Dance Gala will take place in Taunton from 7 to 11 PM at the Roseland Ballroom at Hong Kong City restaurant. Tickets are $40 in advance and $50 day of the event. The event will feature live music by the Layali Ensemble, a silent auction, cash bar and more! Residents are asked to take an online fire safety and prevention quiz and help our Fire Department win a $10,000 grant. Ten departments nationwide who have the most residents complete the 10-question “Be Fire Smart” quiz win a $10,000 grant. So get involved today! Did you miss the local candidates forum on BTV? If so, you've got a second chance as the Bridgewater Public Library has two (2) sets of DVDs covering the recent candidates forum. These DVDs can be borrowed from the library. Disc 1 includes candidates Scott Pitta, Ernest Talpey, Timothy Fitzgibbons, Edward Ivaldi, Carolanne Schneider, Peter Riordan, Paul Sullivan, Kristy Colon and Peter Colombotos. Disc 2 features Michael Demos, David Hatthaway, Harry Bailey, Keith Buohl, William Callahan, William Wood and Michael Berolini. The election for Town Council is October 16th.